At Celebrazione, we design, create and then make-by-hand your perfect wedding & event invitations, favors, and correspondence. Our artist/designer works with the customer one-on-one to design the perfect paper art for whatever the special occasion may be. You are not just another order for us--you have unique tastes and interests. You have a story to tell. 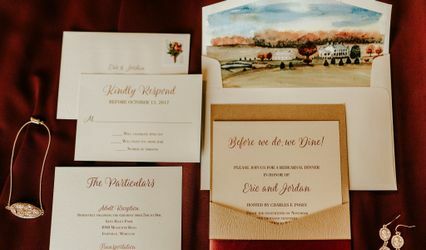 Unique invitations will set the tone for the ultimate first impression. Celebrazione strives to create correspondence that is a true reflection of who you are. Call today for a complimentary design consultation. Never any pushy sales tactics here; these invitations are a step above the rest and their quality craftsmanship shows. Lynn does amazing work!! I was very impressed with my invitations...even after I had to change my wedding date...she came through in getting me new invitations in a timely fashion!!!! Everyone loved the fact that my invitations were unique & represented my husband & I very well. I would recommend Lynn's services to anyone I knew!!!!! 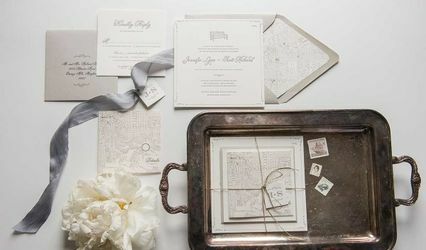 Celebrazione, uses the elements of design to create an hand made invitations that are just as unique and individualizes as each Bride and Groom are. Along with the Bridal Gown Invitations set the mood for every event. To make the impression you want to give your guests about your love story call Celebrazione today!